The Traffic Safety Advisory Board held a long and thoughtful discussion of the west Turnpike speed limits, deciding to recommend sticking with the TDOT limits, but continue to monitor the situation. Based on the 85th percentile speeds, city engineer Steve Byrd opined that the 50 mph limit is appropriate for the section that has that limit, as the the 85th percentile driver is going about 3 to 7 miles above the limit. In the 40-mph section, the 85th percentile speed is about 13 mph above the speed limit, suggesting that a higher limit would be right for the road. However, there are concerns about setting a speed limit that is higher than the road’s official design speed, which is stated to be 40 mph in that section, where there are 5 lanes and no median. Also, board members commented about the presence of Girls Inc. and other youth programs on that section of the Turnpike that produce a lot of turning-vehicle activity at certain times of day. They expressed concern about the possibility of accidents — and liabilities if the speed limit is set higher than the official design speed. However, it seems to be agreed that the redesigned road in that section is safer than it used to be and that the road’s physical alignment is consistent with a 60-mph road (which helps explain why so many people are driving so far over the limit). There was some sympathy for creating a consistent speed limit, but desire for speed limits that fit the road was stronger, leading to the recommendation to keep the TDOT limits. 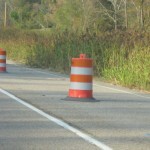 Regarding consistency of speed limits, Steve Byrd provided the information that after completion of the current construction on Hwy 95 west of this section, the 45 mph speed limit is supposed to remain in place for the 5-lane section of road, which will extend to a short distance west of Southwood Lane. At that point, the median will begin and the speed limit will be 55 mph until the K-25 site area, where it drops back down to 45 mph. In response to my comments about determining speed based on the road’s context, the professional traffic engineers in the room told me that this needs to be done before the road is designed, because once a road is built its characteristics will largely determine traffic speed. One of the context issues is bicycles. TSAB members noted that the 50 mph limit means that many people will choose to drive about 60 mph, and there was concern expressed about the safety of bike lane users on such a fast road. Steve Byrd pointed out that the bike lanes are part of a standard TDOT road design (which suggests that someone judges them to be safe, even though they run alongside fast traffic). He said that he is not aware of guidelines on setting speed limits for roads next to bike lanes. They’re back (west Oak Ridge Turnpike speed limits, that is)! The Traffic Safety Advisory Board (TSAB) discusses them at its meeting Tuesday evening at 7 pm. The city engineer has conducted motorist speed surveys and is recommending that the city not make any adjustments to the state’s speed limits. In December, City Council enacted a change in the city speed limit ordinance for this road segment. After opposing the change in the first round of two votes on the proposal, I supported it in November and December, after discovering that I’d been working under a misconception. A bit contrary to what the November 17th Oak Ridger reported, my misconception (which appears to have been shared by other Council members and many citizens) was to think that City Council has any discretion in choosing a speed limit on the west Turnpike. We were all wrong. That road is a state highway. 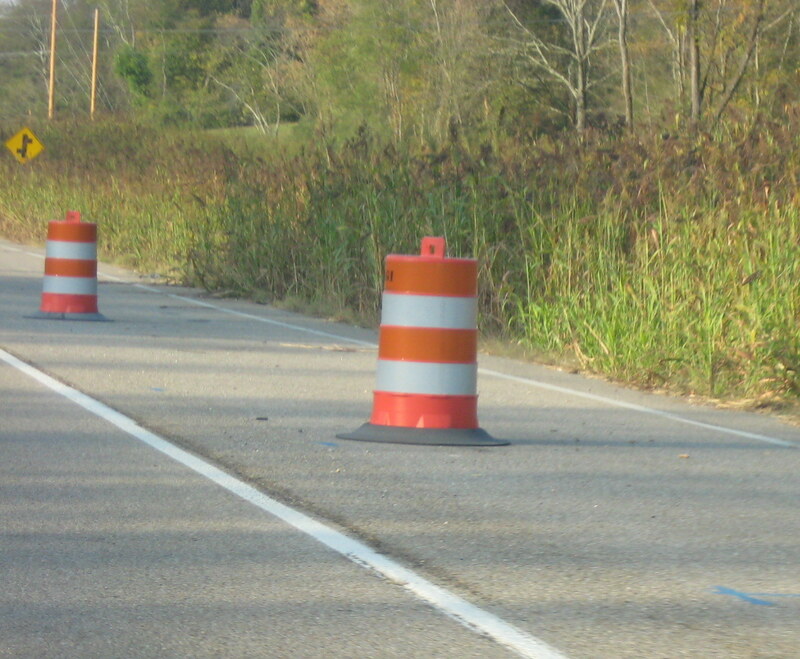 Under Tennessee law, the speed limit for a state highway is set by the state. 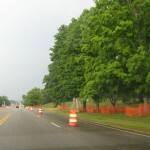 TDOT didn’t give the city a “recommendation” on an appropriate speed limit for the Turnpike following construction – instead, TDOT set the new limit. Regardless of any City Council action on speed limit, the posted speed limits were legally enforceable by both city police and the state highway patrol. Confusion developed because of the city ordinance that lists speed limits for every street in the city. For most city streets, City Council legally sets the limits, but for state highways it merely coordinates the city speed limit with the state’s legal limits — unless the city has done its own traffic engineering study that supports different limits, in which case the city can change the state’s limit. Since City Council periodically is asked to vote to change speed limits for both state highways and city streets, members had the impression that the City Council had authority to make decisions on speed limits on all of those streets. I’ve asked why Oak Ridge even bothers to have a city ordinance that duplicates state law. Staff has explained that it is beneficial to the police to be able to ticket a speeder under a city ordinance because challenges to city tickets are heard in city court. This means police officers don’t need to take as much time away from patrol as if had to go to the courthouse in Clinton or Kingston. City tickets also carry a smaller fine, which is a small benefit for speeders. When City Council voted to make the city speed limit ordinance match state law, it was with the expectation that the city’s professional engineering staff would do a traffic engineering study soon. (The city’s professional engineering staff has done several of these studies during my three years on Council, and the Council adjusted a few speed limits based on their findings.) That’s happened, and their report is what TSAB considers on Tuesday. My experience as a motorist leads me to think that the fluctuating speed limits that TDOT posted on the west Turnpike are confusing. It violates the “keep it simple” of safety communications (and leads to allegations of a “speed trap” situation) when there are several different speed limits in a short distance. It is particularly un-simple when (as is the case on this road) a westbound driver is allowed to speed up to 50 mph while traveling through a settled area, then must slow down to 45 mph just when the road seems to be leaving “town” behind (or vice versa, then the eastbound driver is allowed to speed up a little just as the population density starts to increase. Also, the new TDOT-specified speed limits were based on the physical geometry of the road (things like curvature and sight distance) and do not consider the context of the roadway (things like business entrances, driveways, street intersections, and pedestrians). I was hoping for the traffic engineering study to address not only road geometry, but also these types of “context” factors, which are important to the safety and well-being of Oak Ridge citizens and visitors. While the road geometry clearly supports speeds of 50 mph (or higher), it’s not clear to me that this speed (which we know will be interpreted as “up to 60 mph”) is appropriate for an area where people live, make turns in and out of local businesses and side streets (not to mention residential driveways! ), and where we’d like more people to ride their bikes in the new bike lanes and walk on the new sidewalks (as of now bicyclists say they don’t feel safe in the bike lanes). 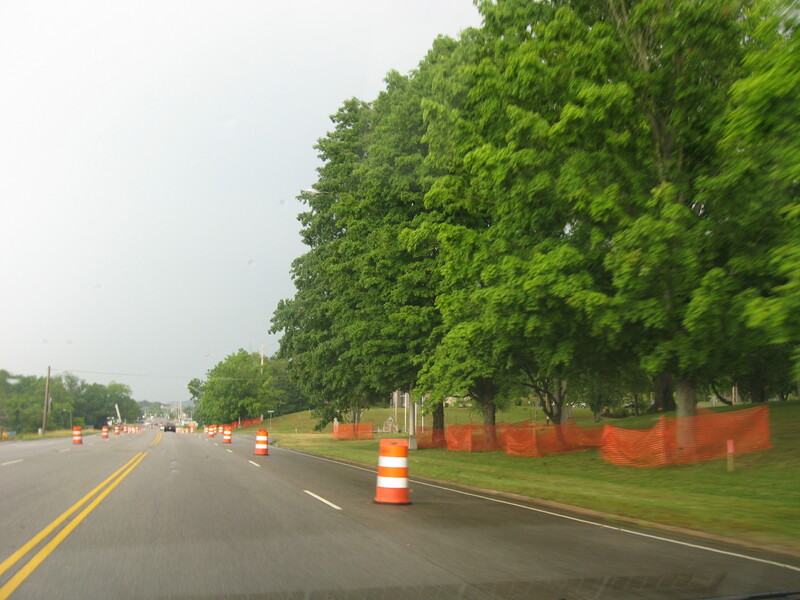 (Consideration of “context” is consistent with the principles of “context-sensitive planning” that TDOT has embraced in recent years — but not at the time over 10 years ago when they designed this particular road project.) Also, I’d rather see a consistent speed limit than one that fluctuates, and 45 mph seems like a good choice if the goal is consistency. Staff measured speeds at three spots during December and January weekday mornings (9 to 11 a.m.) with dry weather — a period of “free flow”. East of Jefferson Avenue in the 40 mph zone, the 85th percentile speed (meaning 85% of traffic is slower and 15% is higher) was 53.3 mph eastbound and 52.5 mph westbound. In the 50 mph zone, the 85th percentile was traveling at 57.8 eastbound and 58.8 westbound near Bermuda Road and at 53.4 eastbound and 57.5 westbound near the Roane-Anderson County line. Unsurprisingly, given the time of day, time of year, and the newness of the bike lanes and sidewalks, there weren’t enough bikes and walkers to bother counting them. Staff notes that the measured 85th percentile speeds were about 13 mph above the posted speed in the 40 mph zone and 3 and 9 mph above the posted speed in the 50 mph zone. Because 40 mph is the design speed for the first segment and because “MUTCD guidelines recommend that the posted speed limit be set at or 5 mph below the 85th percentile speed,” staff is recommending that the TDOT speed limits should be kept in both segments. I’m still concerned about the inconsistency in speed — and about my perception that the 50 mph speed is more consistent with an expressway than with an urban street. Clearly, Oak Ridge Turnpike has some aspects of both of these types of roads. However, after TDOT went to the expense of building bike lanes and sidewalks (having rejected the city’s 1997 request to separate these features from the roadway), I’d like for people to feel safe enough to use them, and I’m not at all sure that a 50 mph speed limit does that. I’ll be interested in seeing how the TSAB members address this Tuesday evening. They are a thoughtful bunch with many valuable perspectives on traveling Oak Ridge’s streets.